Miner’s Coat of Arms, c. 1850-60. 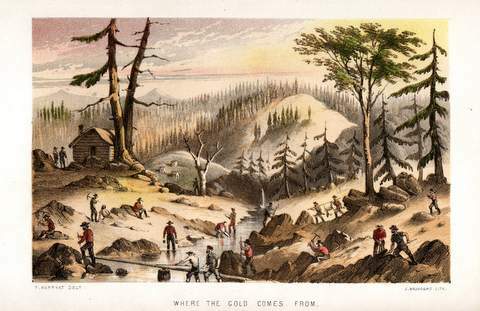 Once the news of the discovery of gold – on January 24, 1848 – was announced by President Polk on December 5, 1848, not only did people from beyond the shores of the Pacific leave for the gold fields, but those that had made the journey began to write. 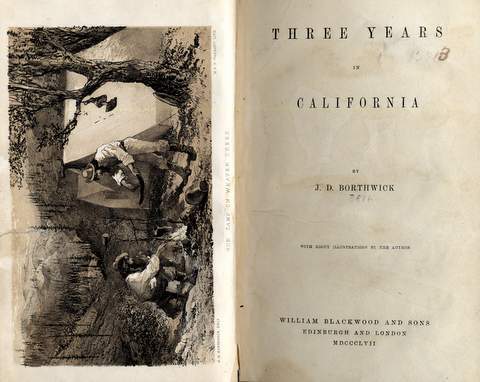 Those who had visited the mining camps and growing towns wrote guides for others to follow. 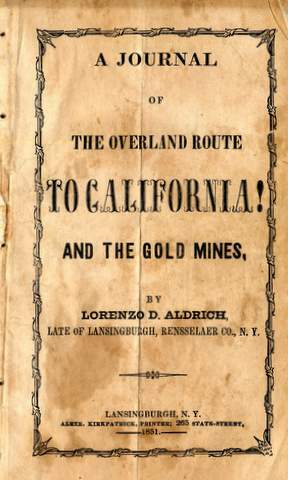 Maps were drawn and published, songbooks were compiled for the miners, and people – men and women – wrote about their experiences travelling to Alta California and what they found when they arrived. 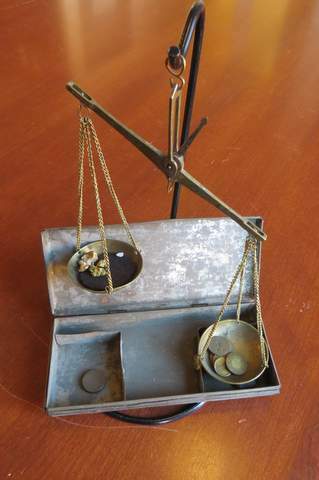 There are guides on how to find gold, how to mine for gold – and in the end, how to make a living if you do not find gold. 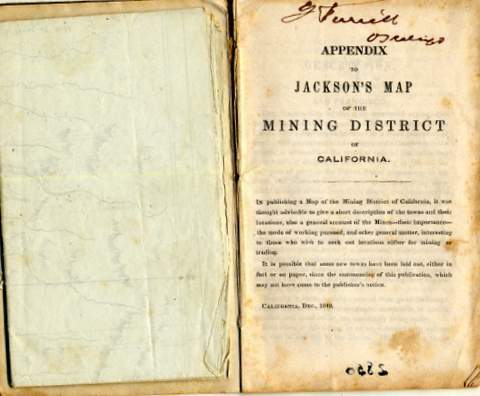 Dame Shirley – the pen name for Louise Amelia Clapp – wrote a series of letters to her sister describing life in the mines where she resided with her husband. 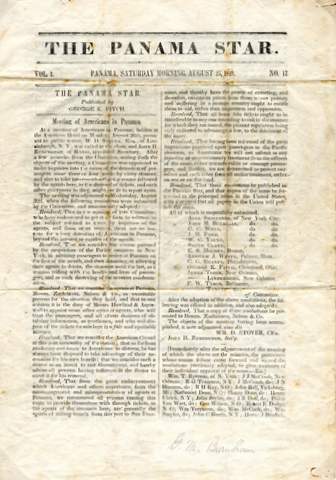 The letters were eventually published in the Periodical The Pioneer from 1854 to 1855. 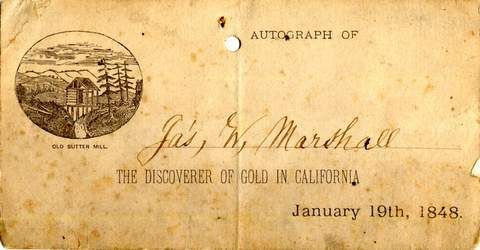 Miners and others wrote back to those left at home on illustrated letter sheets – like the one above – and told them about the gold rush. 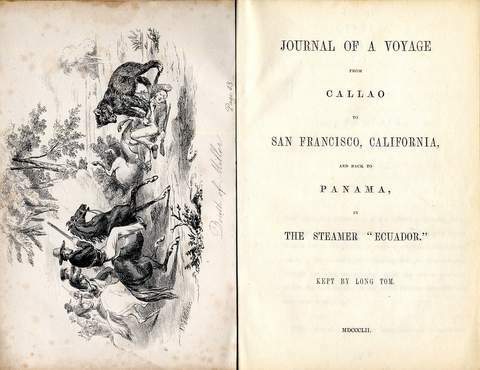 The journeys from the East coast (usually via ship), Missouri (usually via wagon trains), and across the Isthmus of Panama (via train, wagon or by foot) and up the coast to San Francisco (by ship), were often documented in diaries, and in books published afterwards. 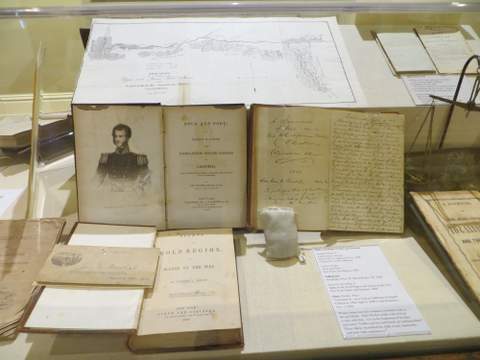 Those making the journey from Europe had the additional voyage across the Atlantic Ocean to contend with. 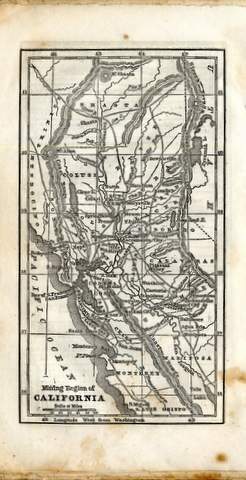 John Sutter himself was originally from Switzerland. 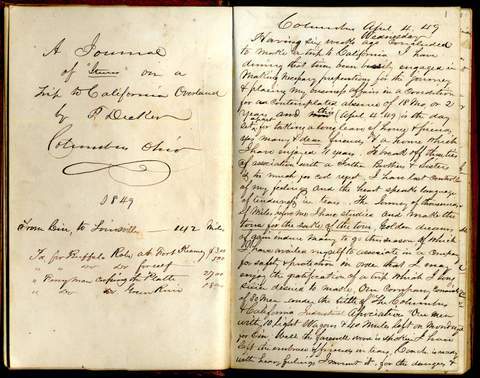 and notes: “Coffee and tea used freely are indispensibles”. 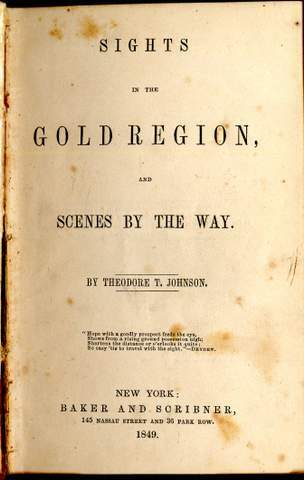 one of the earliest maps of the gold regions. compact and leather encased against the weather. 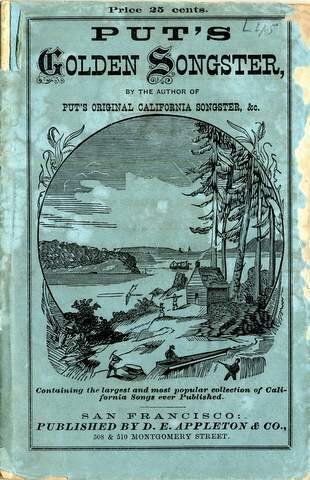 A Journal of the Overland Route To California! Lansingburgh, N.Y.: Alexr. 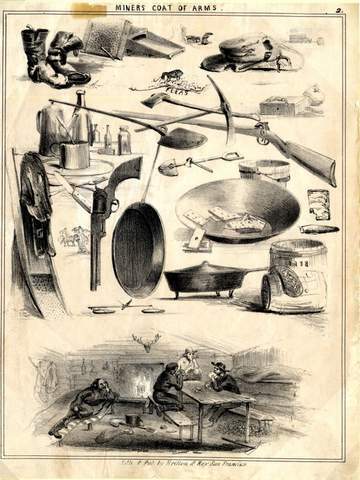 Kirkpatrick Printer, 1851.
amused – a pocket songster like Put’s. 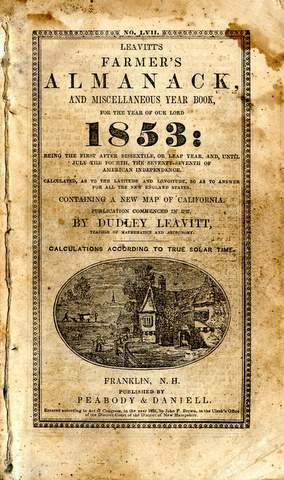 Franklin, N.H.: Peabody & Daniell, 1853. 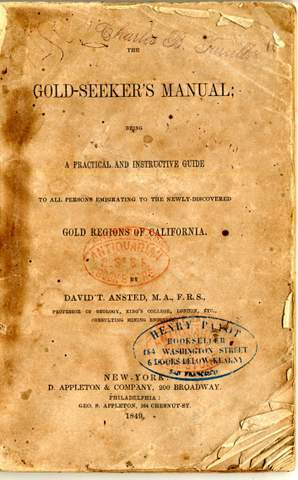 Guides to the gold regions quickly began to proliferate once the word spread about the gold discoveries. 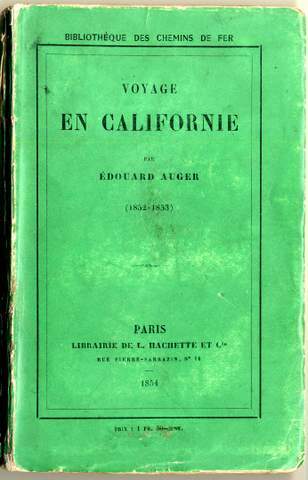 Guides appeared in English as well as French, German, Italian, Danish and other languages. 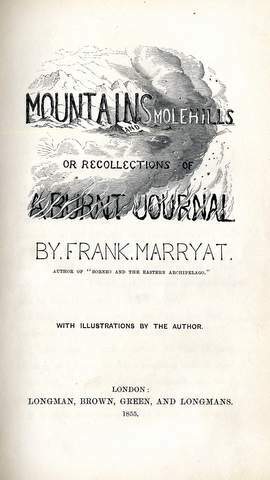 Editions of American guides were also published in London and elsewhere in Great Britain – such as Marryat’s Mountains and Molehills. 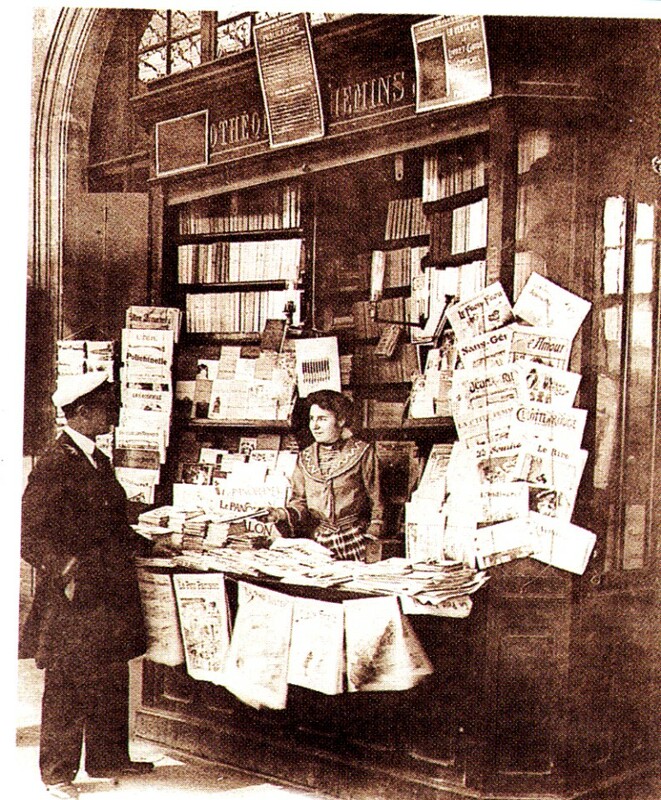 Auger’s guide was one of a series of small books published in Paris, and sold mainly at railway station kiosks (see image below), to train passengers on various topics. Hachette created these various guides especially to be read by passengers on a train trip – so they were suitably short and small – easy to read on a train. 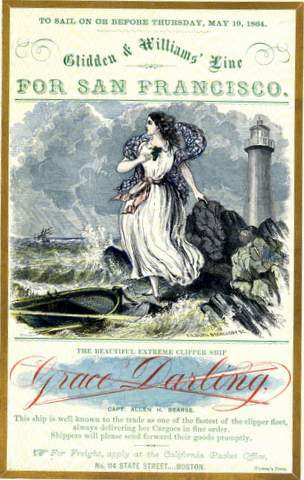 Grace Darling – For San Francisco, 1850-60.
but was still long, arduous and often dangerous. using imagery of speed to sell their particular ship. just depart when the ship was full. 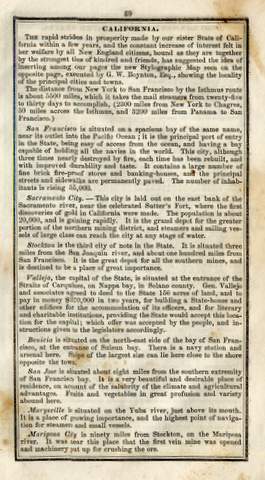 in San Francisco on September 13 of the same year. 3 printers, and 4 papermakers and a printing press. jest, but not completely – of the fate of food on the ship. 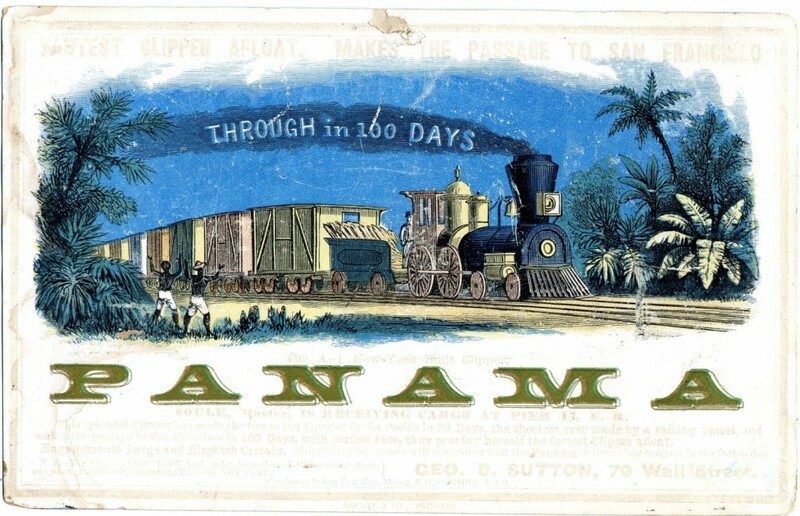 of Panama. 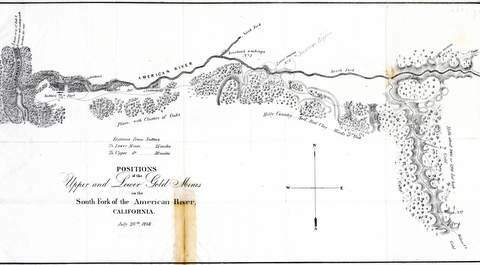 There, the journey could only continue at first by dugout boats on the Chagres River and then by mules for the final 20 miles over the old Spanish trails. This trip took anywhere from 4 to 8 days. for a one-way for a trip of 47 miles – and it shorted the trip by up to a week for those weary of sea travel. 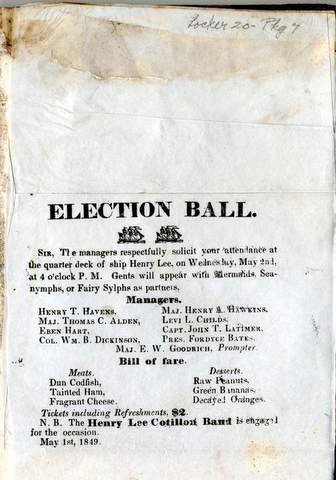 Liverpool: Printed by R. James, South Castle Street, 1852. Inscribed to Anthony Easterby by the Author. 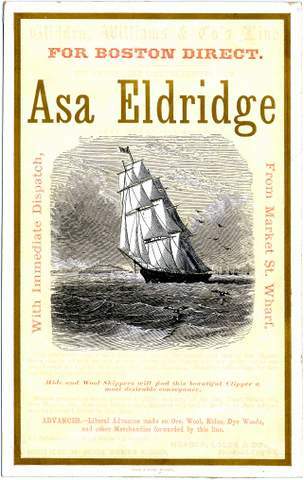 This ships’ card reminds one that many gold seekers – in the end – returned to the East.